It’s always a pleasure to see a favourite underground record label evolve from releasing the odd 12” or EP to becoming a fully-fledged ‘grown up’ imprint releasing artist albums. Sweden’s Local Talk is one such label, gaining an international following for its off-kilter releases from Kyodai, HNNY, Fred Everything and others. I’m glad to say they’ve extended their distinctive music policy to their first few long players too. ‘How I Communicate’ is the second album from Moskow’s Lay-Far, an artist who’s been heavily hyped by those in the know over the last couple of years. For once, the hype is entirely justified. Critics and stores will probably put this record on the same shelf with the likes of Todd Terje, Crazy P and other ‘disco crossover’ acts, but although there are undeniable similarities, I’d argue that this record is subtly and essentially different. Why? Because Lay-Far isn’t pulling any creative punches. While the other two acts mentioned have a tendency toward the saccharine which makes them the dance music equivalent of ‘gateway drugs’, Lay-Far has struck a near-perfect balance between accessibility and authenticity. From the warm, string-laden musical hug of ‘Like The First Time’ which opens the record, through the jazzy broken-beat / House crossover ‘Slope’ featuring Ashley Beedle, to the low slung deepness of ‘Submerging’, this album really has breadth. 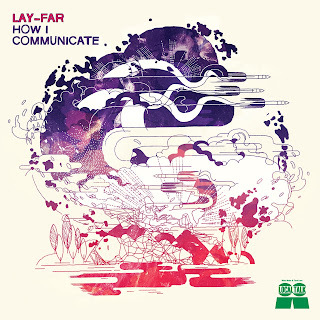 Supplying enough melody and variation to (hopefully) please a more mainstream audience, whilst retaining enough repetition and groove to satisfy the heads, Lay-Far’s balanced and elegant offering should serve as a lesson to us all on the difficult craft of album-making. 'How I Communicate' is out now, so go get it.